Birds that migrate to far-northern latitudes for breeding may arrive to find a wealth of opportunity. Grazing geese are likely to find endless fields of fresh grass. Insect-eating pipits and wagtails may find their protein-rich quarry to be a non-depletable resource. Bird biologists have found that the first individuals to return from their wintering areas to their northern breeding grounds generally have greater reproductive success. The causes of this success are many. The first birds back may have the greatest opportunity to recover from the challenges of migration, and could find access to the best breeding territories. If the first breeding attempt fails, early breeders have a greater opportunity to try again. Perhaps earlier males can increase their reproductive success by mating with females who are not their social mate. By breeding earlier, their chicks may have a longer period to grow and acquire the reserves necessary for successful southward migration. It is possible, of course, that some birds will migrate northward too early, and will arrive to find their breeding grounds in the grip late-Winter weather. Even so, on the whole, earlier seems to be better. 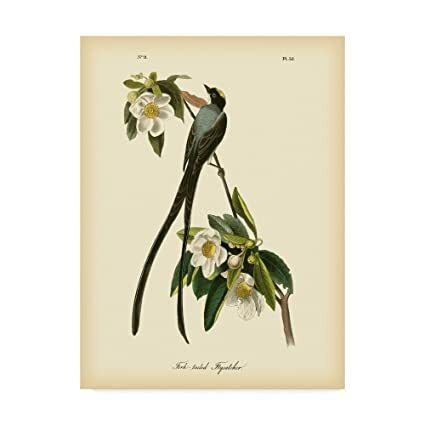 However, as with so many aspects of bird biology, this phenomenon has been reasonably-well studied in species living in temperate zones, with far less information available for tropical species. Vanessa Bejarano and Alex Jahn of the Universidade Estadual Paulista in São Paulo, Brazil, sought to address that gap in our knowledge. 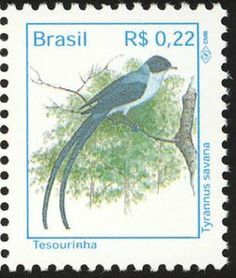 Between 2013 and 2016, Bejarano and Jahn studied a population of Fork-tailed Flycatchers in the Estação Ecologica de Itirapina in southern Brazil. Described as intra-tropical migrants, these flycatchers come to their breeding grounds from their off-season homes in northern South America. The birds were colour-banded for individual identification. The researchers monitored flycatchers on the study site, noting when they first arrived, and followed their breeding activities. Life in the tropics can be challenging for birds, and Bejarano and Jahn found that only ten percent of nesting attempts were successful. On average, male flycatchers were seen on the breeding grounds earlier than females, a phenomenon known as protandry. Males that arrived first attracted females that laid eggs earlier. Nest success was higher when egg laying was earlier. In summary – earlier is better. Although this relationship between dates of arrival on the breeding ground and breeding success has been established for a number of birds in temperate regions, this seems to be the first study to show the association for birds that live within the tropics. Further study will be needed to determine how male Fork-tailed Flycatchers manage to arrive to breed before females do, and why earlier arrival translates into greater success. The authors suggested that: “further research on the subject would benefit from a multi-disciplinary, comparative approach among migratory systems.” In an era of global climate change, the results of such research is likely to prove valuable. Bejarano, V., and A. E. Jahn. 2018. Relationship between arrival timing and breeding success of intra-tropical migratory Fork-tailed Flycatchers (Tyrannus savana). Journal of Field Ornithology 89:109-116.